I’ve been coming to Walt Disney World since I was 11 years old; my first trip was with my Grandma, Grandpa, Mom, and Sister in 1979. What I learned on that first trip was that the memories you create at Walt Disney World are memories that will last a lifetime. I also knew that if the day came when I was blessed with a family of my own, I would be bringing them to visit Walt Disney World so they could create their own memories. 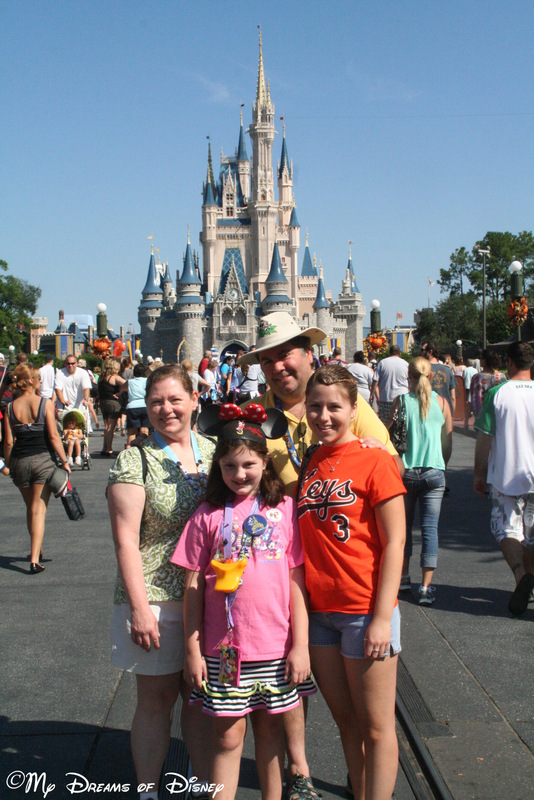 When it comes to Walt Disney World, as a family we really don’t go too crazy at home. Sure, we have some great Disney movies, and we have some pictures we’ve taken at Disney world, and we do have some other bits and pieces of Disney in our home, but we don’t, for example, have a Christmas tree that is nothing but Disney ornaments, and we don’t have a Disney room. However, what we might not have a home, we certainly make up for at Walt Disney World! Sophie’s first trip to Disney was actually January, 2001, although she doesn’t remember it because she wasn’t born yet! That was a fun trip for Cindy and I, and instead of going crazy on thrill rides, we instead ate our way around Disney World! Sophie’s first “official” trip to Walt Disney World was in 2005, when she was four years old, and we went with our friends. Since that trip in 2005, Sophie has been every year since, a total of eight trips in seven years! 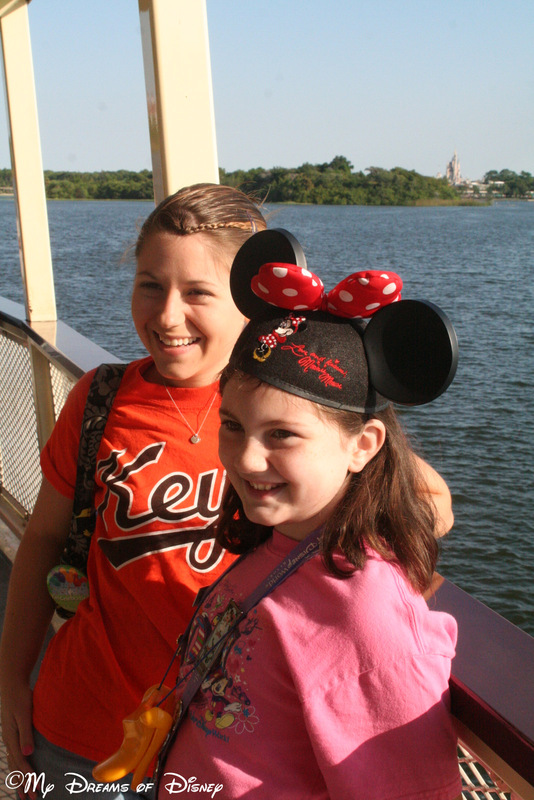 With every passing trip, Sophie’s love for Walt Disney World has increased, and there have been many times where Sophie has talked over our trip plans to find out what things we should show our friends and family when we take them to Disney. It isn’t uncommon for Sophie to start a conversation with a friend or cousin with the sentence “Which do you like better, Splash Mountain or Kali River Rapids?” — even if they have never been to Disney World before! Last night, when we got home from her cousin’s birthday party, it was cold, raining, and dark, even though it was only 6PM or so. I told Sophie to pick out a movie for family movie night. Sophie’s choice: Peter Pan! I’m not certain that there is a set formula to raising a Disney fanatic, but I do believe that there are certain traits that makes Disney, Disney. In our case, the best vacations we have had have been to Walt Disney World, and the memories we’ve created and experienced there have been ones to last a lifetime. In fact, to me, the definition of Disney Magic to me is in the memories that we’ve had! What sort of things does your family do to help raise a great Disney fan? Please tell me in the comments! Thanks for reading! I started my brothers disney obsession when he was an infant. now i have someone to keep up with me in the parks.